A Picture Accent Process layout is one of many process layouts that you could use to show pictures related to the sequential steps in a task or process. For example, you could use a Picture Accent Process layout to show the process of how kitchen scraps can become compost for a garden. This article explains how to create a flow chart that contains pictures. You can use the methods described in this article to create or change almost any SmartArt graphic. Try different layouts to achieve the results you want. By using a SmartArt graphic in Excel, PowerPoint, or Word, you can create a flow chart and include it in your worksheet, presentation, or document. In the Choose a SmartArt Graphic gallery, click Process, and then double-click Picture Accent Process. To add a picture, in the box you want to add it to, click the picture icon , select the picture you want to display in the chart, and then click Insert. Note: If the Text pane is not visible, on the Design tab, click Text Pane. Click the SmartArt graphic that you want to add a box to. Click the existing box that is located closest to where you want to add the new box. 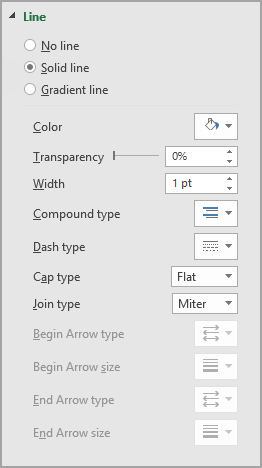 On the Design tab, in the Create Graphic group, click the arrow next to Add Shape. If you don't see the Design tab, make sure that you've selected the SmartArt graphic. 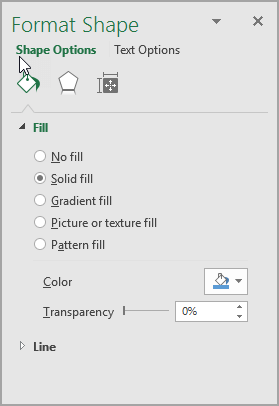 To insert a box at the same level as the selected box but following it, click Add Shape After. 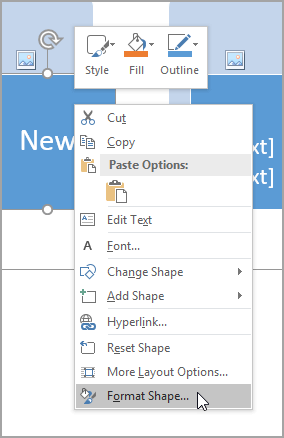 To insert a box at the same level as the selected box but before it, click Add Shape Before. When you need to add a box to your flow chart, experiment with adding the box before or after the selected box to get the placement you want for the new box. Place your cursor at the beginning of the text where you want to add a box. Type the text that you want in your new box, press ENTER, and then to indent the new box, press TAB, or to negative indent, press SHIFT+TAB. To delete a box, click the border of the box you want to delete, and then press DELETE. To move a box, click the box, and then drag it to its new location. To move a box in very small increments, hold down CTRL while you press the arrow keys on your keyboard. To quickly add a designer-quality look and polish to your SmartArt graphic, you can change the colors or apply a SmartArt Style to your flow chart. You can also add effects, such as glows, soft edges, or 3-D effects. And in PowerPoint presentations, you can animate your flow chart. 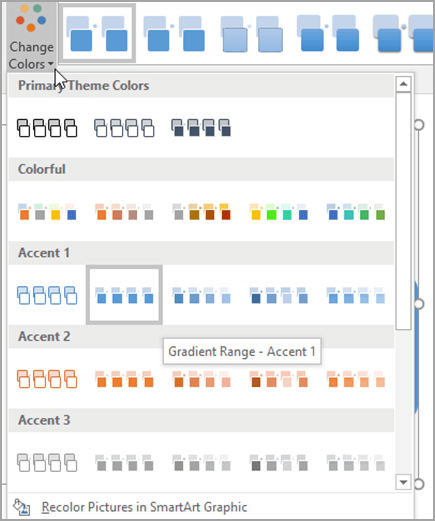 On the Design tab, in the SmartArt Styles group, click Change Colors. If you don't see the Design tab, make sure that you've selected a SmartArt graphic. In the SmartArt graphic, right-click in the box you want to change, and then click Format Shape. Click Color , and then select a color from the gallery. A SmartArt Style is a combination of various effects, such as line style, bevel, or 3-D, that you can apply to the boxes in your SmartArt graphic to create a unique and professionally designed look. On the Design tab, in the SmartArt Styles group, click the style that you want. You can also customize your SmartArt graphic by moving boxes, resizing boxes, adding a fill or effect, and adding a picture. If you're using PowerPoint, you can animate your flow chart to emphasize each box. Click the SmartArt graphic that you want to animate. On the Animations tab, in the Animation group, click Effect Options, and then click One by one. Note: If you copy a flow chart that has an animation applied to it to another slide, the animation is also copied. By using a SmartArt graphic in Microsoft Office Excel 2007, Microsoft Office Outlook 2007, Microsoft Office PowerPoint 2007, or Microsoft Office Word 2007, you can create a flow chart and include it in your worksheet, e-mail message, presentation, or document. To quickly add a designer-quality look and polish to your SmartArt graphic, you can change the colors or apply a SmartArt Style to your flow chart. You can also add effects, such as glows, soft edges, or 3-D effects. In Office PowerPoint 2007 presentations, you can animate your flow chart. In the SmartArt graphic, right-click the border of the box you want to change, and then click Format Shape. To change the color of the box's border, click Line Color, click Color , and then click the color that you want. To change the style of the box's border, click Line Style, and then choose the line styles you want. Right-click the border of a box, and then click Format Shape. Click the Fill pane, and then click Solid fill. 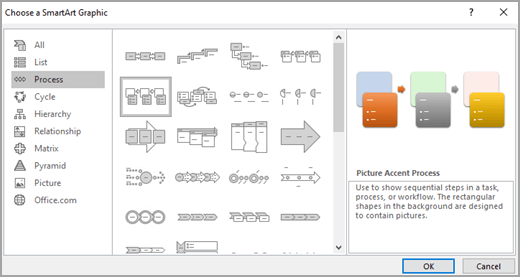 If you're using Office PowerPoint 2007, you can animate your flow chart to emphasize each box.